Hvolsvöllur is a small town with big ideas. Its location on the Ring Road in this region of waterfalls and glaciers makes it an ideal overnight stay. It is close to the nature reserve of Þorsmörk and is only 30 minutes from Landeyjarhöfn, the ferry port to the Westman Islands. The impressive LAVA – Iceland Volcano and Earthquake Centre is the newest attraction in Hvolsvöllur. This newly-opened interactive display of Earth’s formation and fiery antics makes Hvolsvöllur a must-stop on the Ring Road. The centre has an earthquake simulator and stunning special effects to enhance the experience of Icelandic nature. There is a great 360° viewing platform of the three surrounding volcanoes, Eyjafjallajökull, Katla and Hekla. Hvolsvöllur has a selection of restaurants and accommodation. The delightful public park in the centre of town is a perfect spot to take a rest from driving and let the kids play. 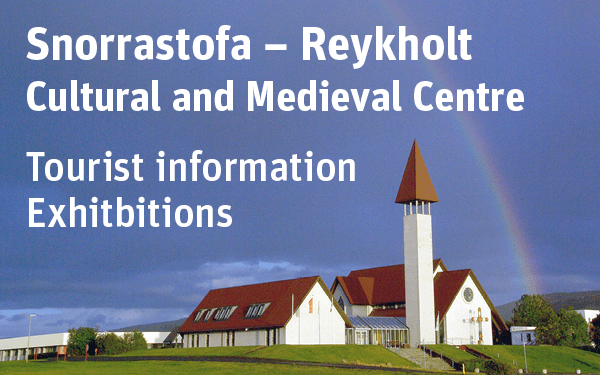 Activities from Hvolsvöllur include horse riding, glacier trips, hiking, caving and gazing at waterfalls.